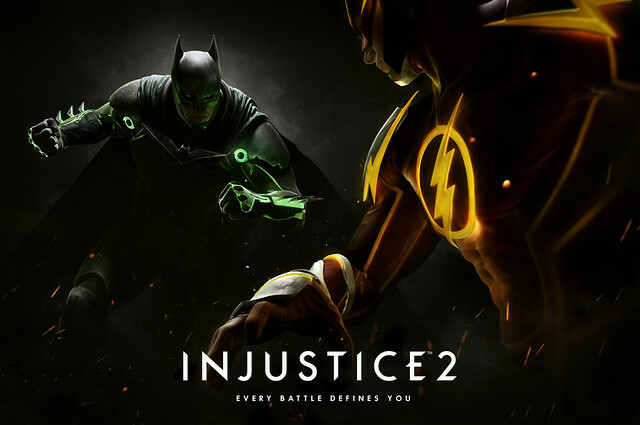 Injustice 2 is in development for PlayStation 4, Xbox One, and PC and will be announced in the coming days, “perhaps even just before E3,” according to sources of French games site GameBlog.fr. The game is reportedly developed by NetherRealm Studios on the same engine as Mortal Kombat X and is scheduled for launch in May 2017. Sino kaya ang mga bagong characters? Warner Bros. Interactive Entertainment and NetherRealm have announced that Injustice 2 is in development for PlayStation 4 and Xbox One. The sequel to the critically acclaimed Injustice: Gods Among Us, the upcoming superhero fighter will allow gamers to personalise its iconic roster of DC characters with various content earned during battles. Injustice 2 picks up following the events of its predecessor, and sees Batman and chums attempting to patch up society while simultaneously dealing with factions who wish to see Superman’s regime restored. In addition to battling as a variety of characters plucked from the DC Comics universe---boasting the largest DC lineup of any fighting game---players will also get to slug it out across massive stages including Atlantis, Gotham City and Metropolis. "In Injustice 2, we are introducing new features that will change the way fans play fighting games," said NetherRealm Studios’ Creative Director, Ed Boon. "We’re always interested in pushing the genre forward and allowing players to customise and level-up their favourite DC Super Heroes and Super-Villains is a significant leap." Lahat puro may armor hahaha.. Pati ba naman si Superman meron din. For sure may story yan bakit puro armor sila. Sana may Power Girl din.. hahaa boobsie haha..
Si Supergirl pala yung nasa thumbnail ng video. Unang tingin akala ko si Captain Marvel. ewan ko bakit pero parang ang weird ng mukha ni Supergirl. Oo nga, for me sana yung sa TV series na Supergirl nila binase yung face nya. Also the hair and the self-shadows still looks like PS3game. Sakto yung reveal sa palabas ng Suicide Squad. Kevin Conroy and Tara Strong. Kulang nalang si Mark Hamill. Edit: Sabi na nga ba si Troy Baker si Deadshot, boses pa lang. Haha!